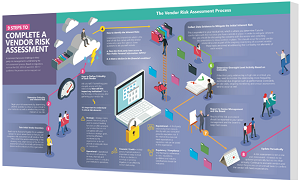 A common theme and challenge in vendor risk management is undertaking the risk assessment process. It is essential to fulfilling one of your obligations in the regulatory guidance on effective risk management. Good news - based on regulations the process can be mapped out. We've created a complimentary visual guide to walk you through 9 main steps.